KUALA LUMPUR (April 16): There were at least two teams involved in the Bank Negara Malaysia (BNM) raid on the AmBank branch along Jalan Raja Chulan on July 6, 2015 which acquired information on bank accounts related to former prime minister Datuk Seri Najib Razak and SRC International Sdn Bhd. This was confirmed by Azizul Adzani Abdul Ghafar, the second witness in the Najib-SRC trial, who was the BNM investigation officer that led the first team during a raid that lasted until 11am. Then he waited there with three other central bank officers until 10pm to get the documents. Azizul said he was instructed to obtain information related to twelve bank accounts, including bank transactions. Five of the accounts were Najib's, one belonged to SRC, three belonged to its subsidiary Gandingan Mentari Sdn Bhd, and three belonged to Yayasan Gemilang 1Malaysia and/or Yayasan Rakyat 1Malaysia during the raid in the morning. AmBank branch manager R Uma Devi then handed over the documents, he said. The second team, led by Ahmad Farhan Sharifuddin, arrived later in a group of around 10 people, and only completed its raid on the bank after 9pm, said Azizul. He added that he had no knowledge on whether any officers from other departments or organisations joined the raid. When asked by Najib's defence lawyer Harvinderjit Singh, Azizul said he was not aware of the specific task of the second team led by Farhan. "Didn't you ask the team about what they are doing? It is quite a big team. You must be excited to do this [the raid]," asked Harvinderjit. "No excitement at all?" asked Harvinderjit. Azizul also clarified that while his team waited for Farhan's team to complete the raid before leaving together, Uma passed him documents related to specific transactions — some of which involved the transactions listed in the charge sheet against Najib — despite Azizul not having requested them. "I informed Madam Uma to include all transactions in my request for the bank accounts. But I did not elaborate on which transaction," Azizul said, adding that Farhan, who had the same position as he did at the time, would have more information on the raid. "You could have been told to get the transactions during the morning briefing with Farhan," asked Harviderjit. "I was not informed," Azizul responded. Azizul also agreed that it is possible that Uma produced the details of the transactions by her own accord, which Harvinderjit described as "unbelievable". 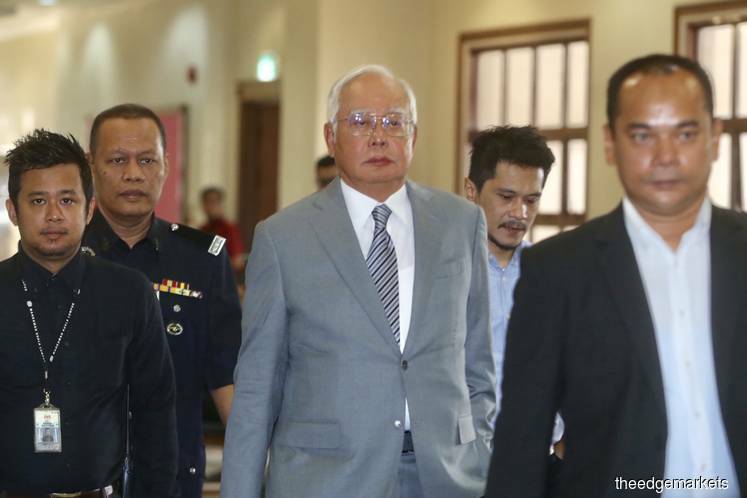 In this trial, Najib is facing seven charges involving criminal breach of trust, abuse of power and money laundering involving RM42 million allegedly siphoned from SRC into his personal bank account for securing loans for the former 1MDB subsidiary.